Date of Apply 04-February-2018. Total numbers of vacancies are Not Mention. Only those candidates are eligible who have passed B.E. / B.Tech. / B.Sc. 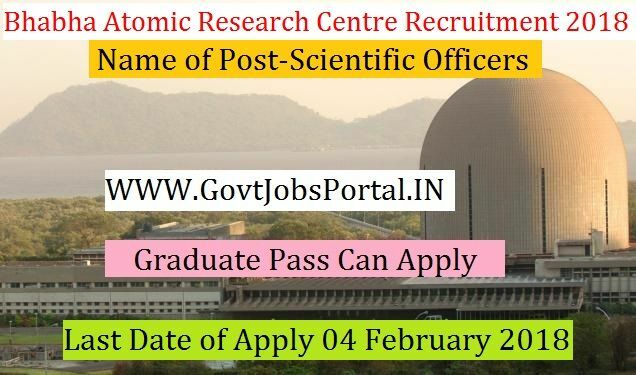 to 31 years can apply for this Bhabha Atomic Research Centre Recruitment 2018.
aggregate marks in one of the engineering disciplines.